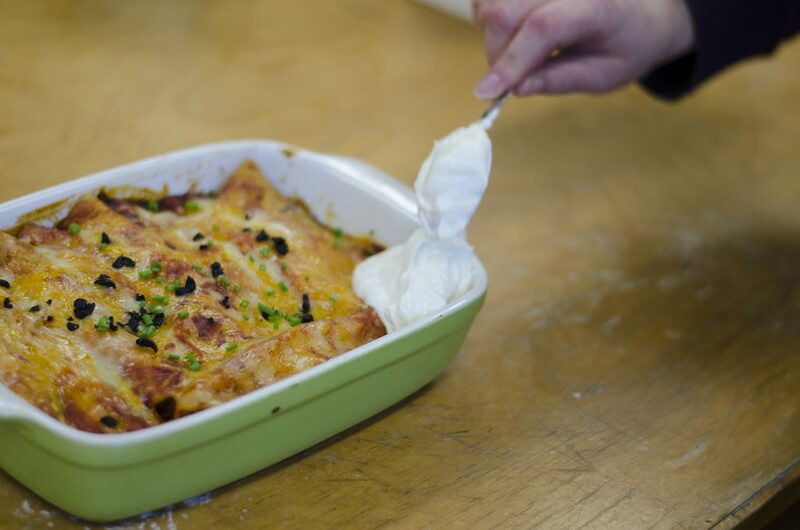 Who wants some enchiladas? We do! We do! We always enjoy celebrating Cinco de Mayo. With all the flavours that Mexican cuisine offers, how can you not? 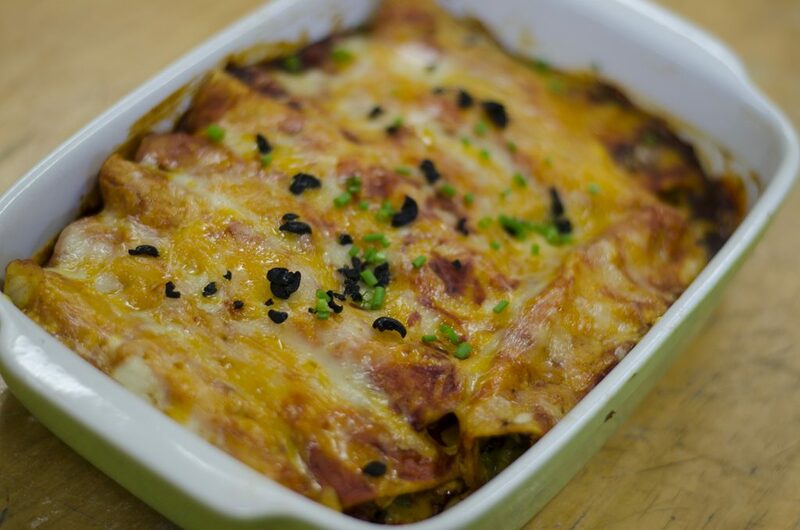 We figured we’d have Rachael Myers of Little Foot Foods help you get ahead with planning your own Cinco de Mayo feast with this enchilada dish. A dollop of sour cream? Don’t mind if I do! Shred both types of cheese. Add 1c of each to the chicken mix. Reserve the rest.